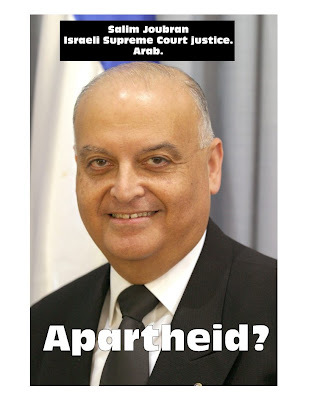 Look Who Says It Isn't Apartheid!! The use of the word "apartheid" by Students for Justice in Palestine (SJP) in its characterization of Israel is patently false and deeply offensive to all who feel a connection to the State of Israel. Under apartheid, Black South Africans could not vote and had no rights in a country in which they were the overwhelming majority of the population. 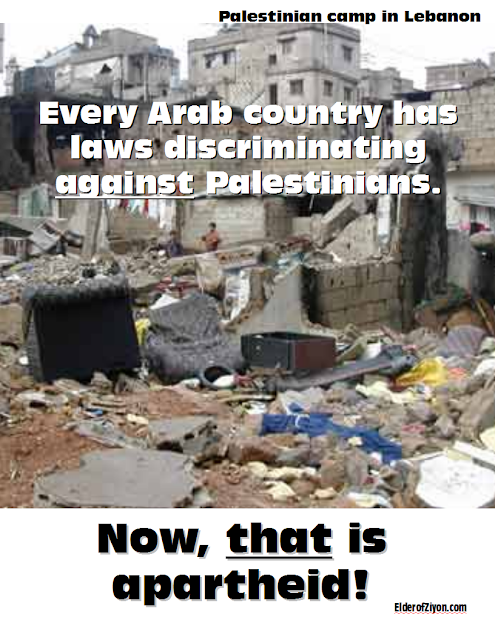 SJP has chosen to manipulate rather than inform with this illegitimate analogy. Therefore, we request that you immediately stop referring to Israel as an apartheid society and acknowledge that the Arab minority in Israel enjoys full citizenship with voting rights and representation in the government. Apparently, I was wrong. The BDS promoters have submitted a proposal to the agenda committee to conduct a membership-wide referendum to join BDS. Even the text of the proposal is a vilifying slander, but we will leave that analysis for another day. So, what does it mean? The good news: We have already thwarted part 1 of the worst case scenario. We will not be caught off guard. We now have at least a few months to prepare. There are 4 agenda items ahead of the BDS proposal in the queue, and 3 more behind it. Two of the subsequent items relate directly to the operation of the coop. Also, in any month, a new item can be submitted and brought to that month's General Meeting if the Agenda Committee determines it deserves priority. The bad news: If the proposal comes to the GM, we will still have part 2 of the worst case scenario - a horrible, vitriolic meeting where we will be confronting the BDS lies. 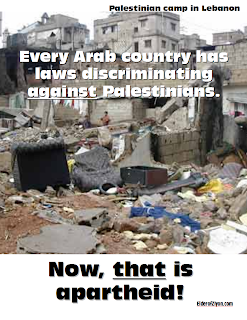 Now is the time to organize to oppose BDS. We don't want the proposal to hold a referendum to pass at the GM. We don't even want the proposal to get to the GM. We don't want further BDS discussion in the Linewaiters' Gazette. We are not alone. I am going to arrange an opposition meeting for the first or second week of May. We will discuss strategies, tactics and talking points. I will post the time and location as soon as it is determined. In the meantime, buy Masada bath salts at the Food Coop. 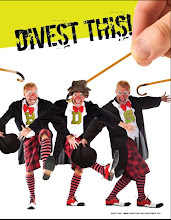 Divest This! has been blogging for the past 2 years about the many failures and faux successes of the BDS movement. He has covered many BDS attempts in depth, providing insightful commentary and some humor, too. This excellent guide (free and downloadable) for countering BDS attempts in your campus or community is a product of his fine work. Divest This! has extensively covered BDS attempts at Food Coops (which he writes as "co-op", in case you want to search his blog). A Tale of Two Co-ops compares how BDS was handled by the Davis Food Coop - where it was rejected as inappropriate - and Olympia Food Coop - where it passed by a questionable procedure. He also reports on the BDS failures at Port Townshend, Madsison Market, Sacramento and Seattle. A common theme is the negative effect of the BDS proposal had at all these communities. During the Open Forum at the January 2009 General Meeting a member asked what products we carry from Israel and suggested the coop join BDS. The Forward wrote an article about it, which read as if joining BDS was a serious consideration. The news spread like wildfire across the internet. Of course, nothing came of it, except for a series of letters in the Linewaiters' Gazette. As far as I know, no one has submitted an agenda item. I intend to stay on top of it and I hope it will never get that far. So please, don't start rumors that the coop is considering BDS. Speaking of rumors, Judge Richard Goldstone, author of the eponymously known report of the United Nations Fact-Finding Mission on the Gaza Conflict, wrote an op-ed in Friday's Washington Post. He now says that his most serious allegation against Israel, that civilians were intentionally targeted, is unsubstantiated. The Goldstone Report is a seriously flawed document. Anyone honestly interested in peace should read intelligent articles that illuminate the principles of international law that apply and analyze the shortcomings of the report. This article, by Peter Berkowitz, a review of a recent publication of the Goldstone Report and related essays, is a good place to start. It is important to read these sorts of articles because too many people throw around terms in ways that show they don't what they are talking about.